With this, all ACCOUNTS and CHARACTER data has been wiped; yes, we're basically starting over with testing. There are multiple reasons for this, but the primary one is to ensure all Accounts are accessible through the new launcher and players receive all the benefits of New Telon features. 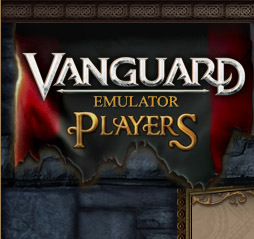 In celebration of the death of VG:SOH, I have released the VGOPlayers community to the world. The Vanguard: Saga of Heroes player community has witnessed one thing after another taken away from them over the course of this games short life. First, Beta features everyone was excited about. Then the nerfing of content, abilities, graphics and more in an effort to stabilize the game. Then in 2012, players lost their original community centered around the VGPlayers website -- and now, they lose their game world entirely.